Or is it one of the many, less well-known bit players on the show? A stranger or an old acquaintance that Larry runs into on the street, or at an event, and whose words or interactions set off an inevitable chain-of-events that embarrass Larry, expose his lies or obfuscations, and initiate his often Machiavellian attempts to rectify situations that have spun out of control? 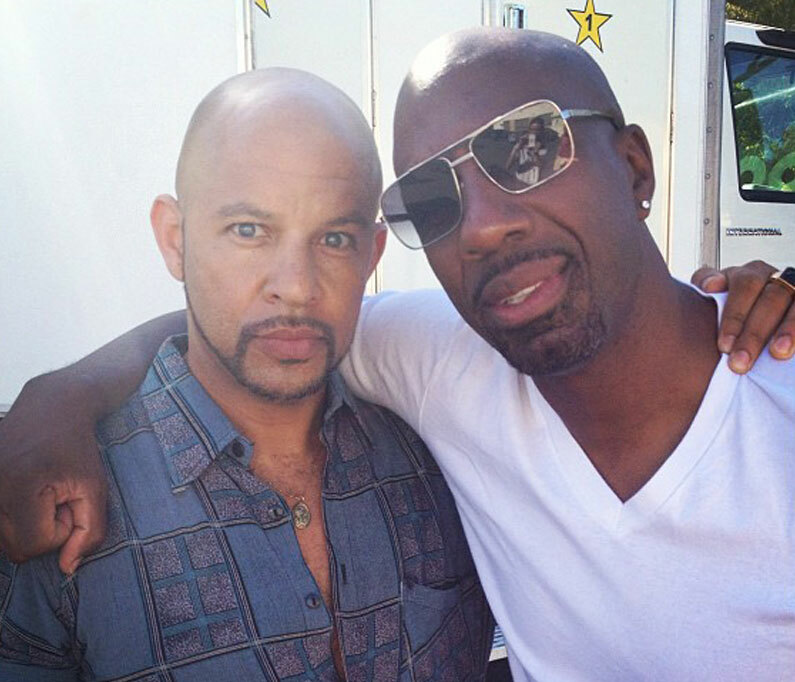 In the end, I think a case can be made for Chris Williams (playing Krazee-Eyez Killa) and J.B. Smoove (playing Leon Black) as the most memorable, funny, creative, energized guest stars to ever appear on the show. Their worlds, so seemingly different from Larry’s, collide with his and the effects are absurdly sublime. He didn’t, but many people thought of Krazee, and the tremendous cultural dislocations between his world and Larry’s, when the character of Leon Black was introduced in Season 6 (2007). J.B. Smoove, who plays Leon, brought an extraordinary comedic energy — a kind of manic, foul-mouthed ruckus — to the show in his first real scene with Larry, responding to accusations and questions over a mysterious “stain” found on some bed sheets with quizzical facial expressions, wide eyed disbelief, and abject honesty. And he kept bringing a ruckus in brief appearances throughout the season. His improvisational dialogue scenes with Larry — who confronts the absurdities issued forth from Leon with a sort of bewildered consternation — have a surreal, gloriously creative quality, and are scathingly funny. 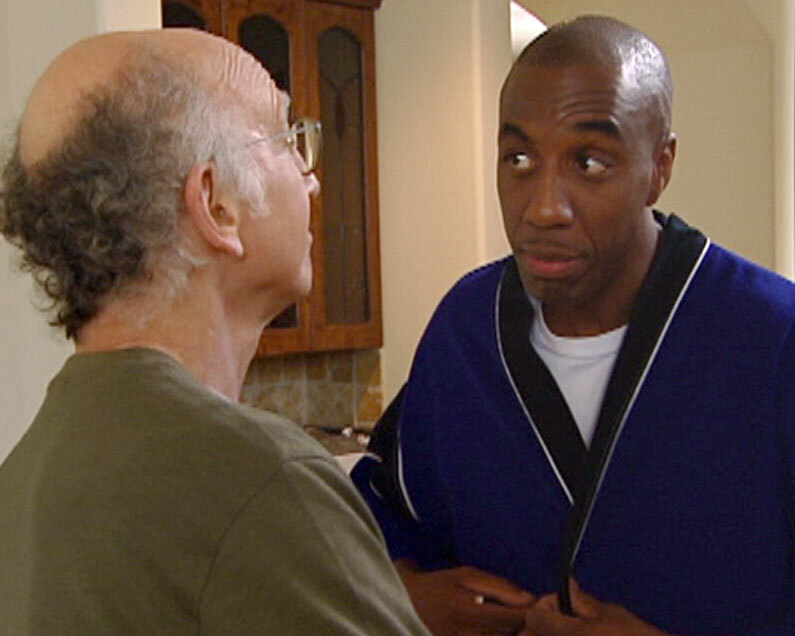 Leon Black returned to the show in subsequent years as Larry’s dedicated guide and associate, and strangely permanent houseguest. Always there in a moment of trouble or disorder. Proffering advice. And consternation. And laughs. What sets apart these two actors and their performances may simply be their no-holds-barred approach to the characters they played; a push-it-to-the-limits, joyous creativity that generates those moments of sheer comedic perfection that one cannot imagine having been bettered with different takes or approaches, or with other actors in their place. A photo of them together that appeared in May of 2012 makes any true fan of comedy smile, thinking of the commitment these actors brought to their respective roles on Curb Your Enthusiasm. The Killa and The Ruckus. 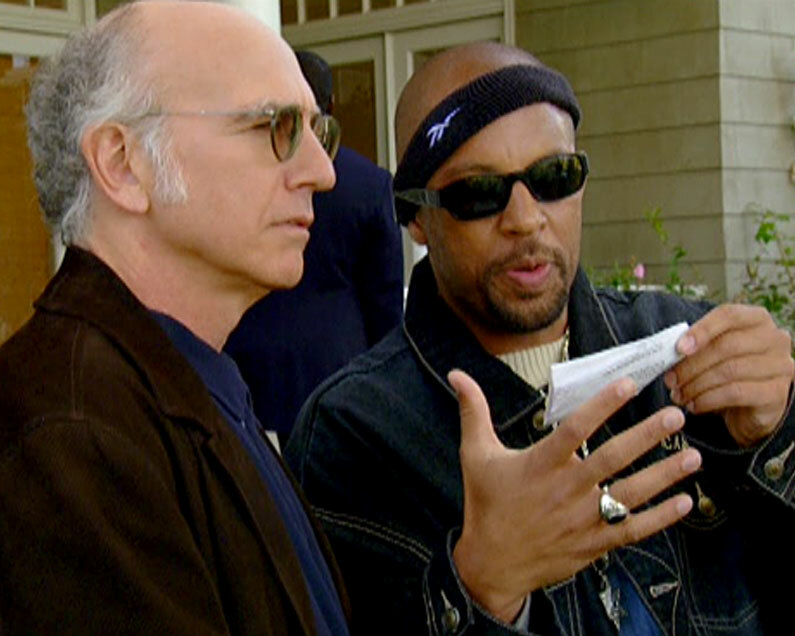 Long may both characters live in the glorious fictional infamy of Larry David’s absurd world.